Observation - Jonathan - Typha angustifolia and Dipsacus fullonum - 31 July 2008 - 3:00pm - UK and Ireland. 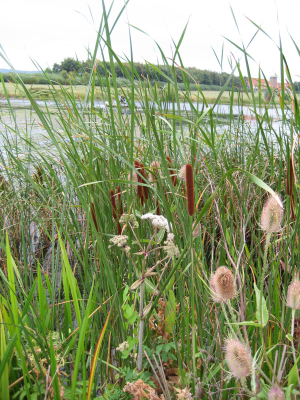 Description: Lesser bulrush Typha angustifolia There is also teasel Dipsacus fullonum in the foreground And an umbellifer I didn't identify! And an umbellifer I didn't identify!